Iso Gold is an excellent quality protein from whey isolate and fortified with even faster absorbing whey hydrolysate. This formula is lower in carbohydrates . 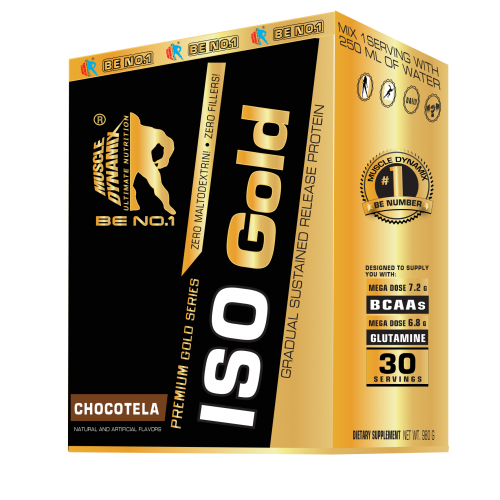 Iso's protein is produced to have a higher percentage of protein than whey “concentrates”, which also means that “isolates” have lower sugar and fat content. It contains high-quality, fast digestible 29g of ultra -micro filtered whey protein per serving to support muscle growth, boost your immune system and a full recovery.